How to Avoid Fine Art Storage and Shipping Nightmares? There are many reasons to hire experienced shippers of fine art when transporting paintings, sculptures, antiques, and other valuables across the country or internationally. We are not going to list all of them in this blog post, but we are going to draw your attention to one of the most important. A professional art logistics company can help you avoid a whole range of fine art storage and shipping nightmares, starting from decapitated sculptures to completely damaged paintings. At Fine Art Shippers, we know numerous sad stories related to unsuccessful DIYers and inexperienced art handlers, and, therefore, we highly recommend working with only trusted art shippers who know and love what they do. Here are several tips that will help you protect your art and avoid any possible fine art storage and shipping nightmares. 1. Don’t do it yourself. When it comes to shipping valuable, extremely fragile, or delicate artwork, don’t even try to do it yourself! Always hire a reliable fine art shipping company for this job! 2. Check the company’s experience. Check the company’s experience with the particular type of art you are going to ship. The chosen art shippers should have knowledge and skills to handle your artwork the way it deserves. 3. Consider the artwork’s dimensions. Large and heavy items require special handling and packing, so make sure to provide the company with the artwork’s accurate dimensions for its proper transportation. 4. Ask about any third parties involved. Whether it comes to fine art storage or shipping valuable artwork to another country, always ask about any third parties involved in the process and check their experience too. 5. Always consider fine art crating. A custom built wooden crate is the best way to protect your artwork in transit, so never skimp of professional fine art crating services. 6. Get a condition report. 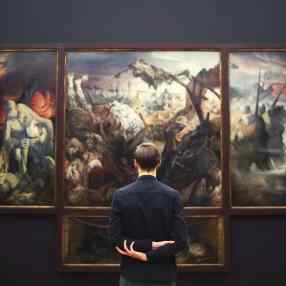 Get a condition report before you have the artwork transported or placed in a fine art storage facility and then again once the item is received to avoid any problems and misunderstanding. Hopefully, these tips will help you avoid any fine art storage and shipping nightmares! However, there is one more thing to consider. Most likely, you want professional art logistics services to be affordable. It is possible if you deal with Fine Art Shippers! You can request a free shipping quote and verify this for yourself!